It was 7:30 p.m. on Wednesday, June 8th. And then the conversation on Twitter happened. 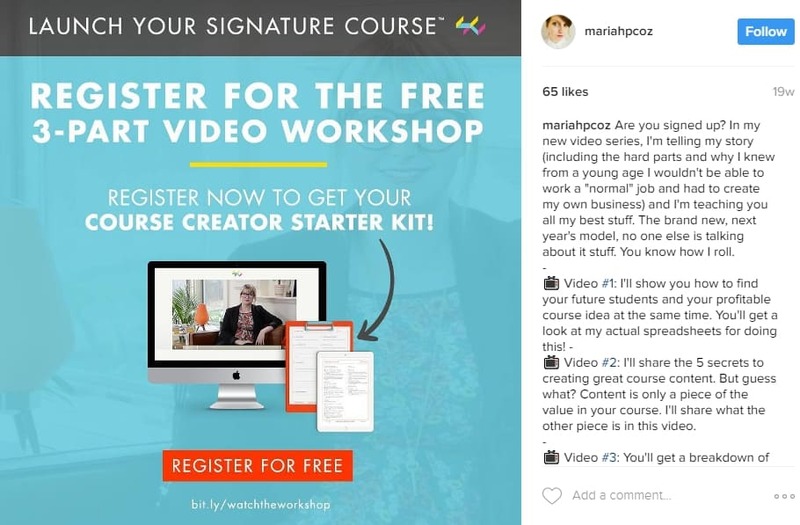 I stumbled upon the case study on Pat Flynn’s blog from Nathan Chan about how he’s converting 10,000 email subscribers from Instagram each month, and his page got over 500,000 followers within the first year. 10,000 email subscribers per month? Just from Instagram? What? That completely blew me away. So I decided to cancel all my evening’s plans and set up my Instagram profile. A few hours later my profile was live. I followed all the steps Nathan was talking about and spent a few hours per week on Instagram. Seven months later, I have 52,129 followers. I know what you’re thinking right now, half a million followers within a year and ten thousand subscribers from Instagram within thirty days? Sounds unlikely… That’s not possible. Will you get results like Nathan? Probably not. But can you grow your page ten times faster than now? Absolutely! 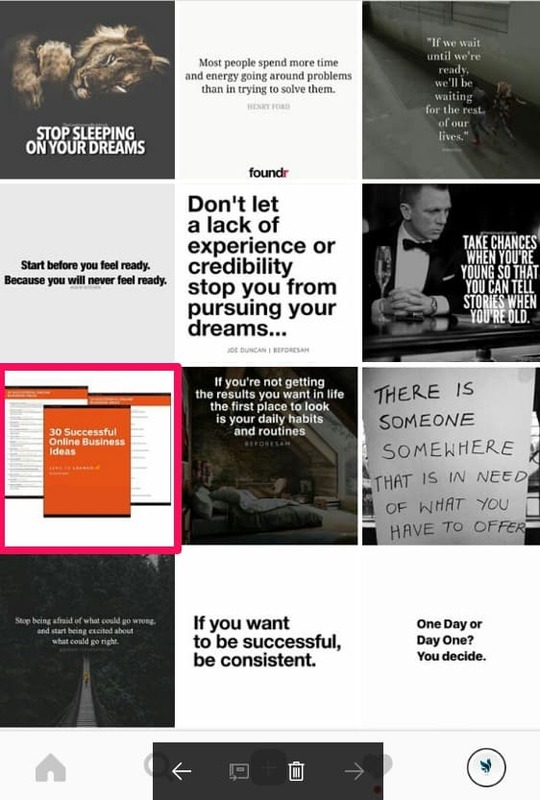 I’ve put together all nine strategies into easy to follow tutorial you can download and follow once you start to grow your Instagram page. 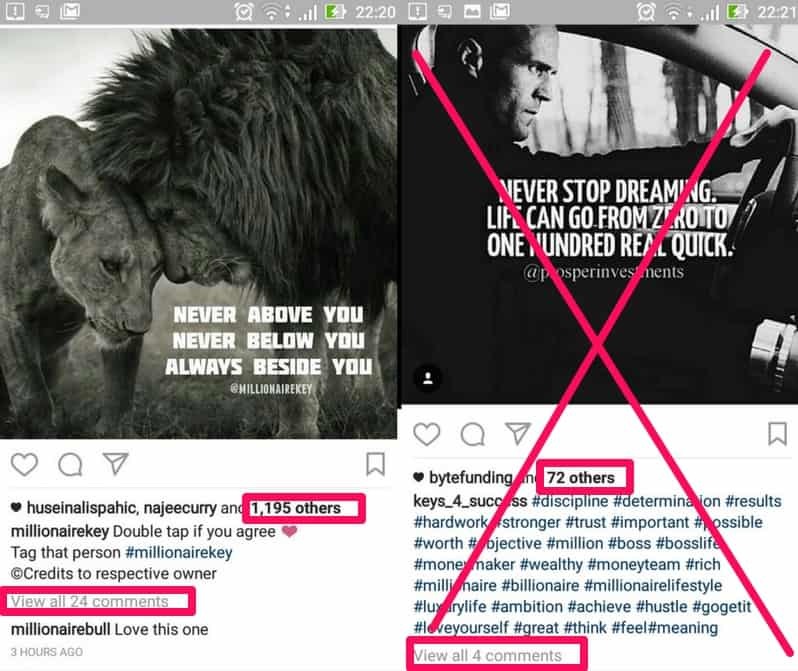 I’m going to walk you through the three key steps you need to follow to create and successfully grow your profile on Instagram like I did. More than 50% of the people who visit my profile become my followers. Why? Because my profile image looks great, and my bio includes clear information about what I do. Follow the steps below, and I bet you’ll be getting the same results. 1. Create a catchy profile image. Whether your profile image represents you or your company logo, the quality of the image must be top notch. Be sure to check it out on the phone as well as on the desktop. 2. Write a bio that reflects who you are and what you do. If you want to attract the right people to your profile, you have to convince them that you’re worth following. Type into your bio your skills and explain how you can help them achieve their goals [desired result]. 3. Put your landing page into the URL box. Your profile is the only place where you can put URL. Think about what is the most important for your business. Send people to your blog, get them to subscribe to your newsletter or sell them your product? My recommendation is to send them to your landing page and get them on your email list. Have you ever heard the phrase, consistency is a key? I hope so. If not, people tend to forget quickly. Once you get under their radar, you want to stay there as long as possible. And that’s the reason why it’s extremely important to publish on a regular basis. You’re creating content in order to attract your ideal clients. Kim Kardashian, Coca Cola, and food blogger are going to create totally different content, right? The main point that I’m trying to get across is – Don’t underestimate the importance of the quality and relevance of your content for your audience. Quotes, quotes, quotes, and once again – QUOTES (This is very easy to create the type of content, and people love it!) We’re using apps WordSwag and Typorama on the phone and Canva on PC to create great looking images. I also recommend checking out Buffer’s list of tools and resources to create images for social media. Tip: Remember the rule from famous Gary Vaynerchuk’s book Jab, Jab, Jab, Right Hook – Every time you want to promote your product, opt-in page, or your service – You should publish six (at least) images providing value to your followers before and after. Before you publish your first image or photo, be sure you have an overall strategy in mind. As I mentioned – Consistency is a key, especially on Social Media! Remember, if you are not a Kim Kardashian, Lionel Messi or Michael Jordan, people will forget quickly about you. It’s important to be seen regularly. Start with publishing at least three images per day, five or six is better. 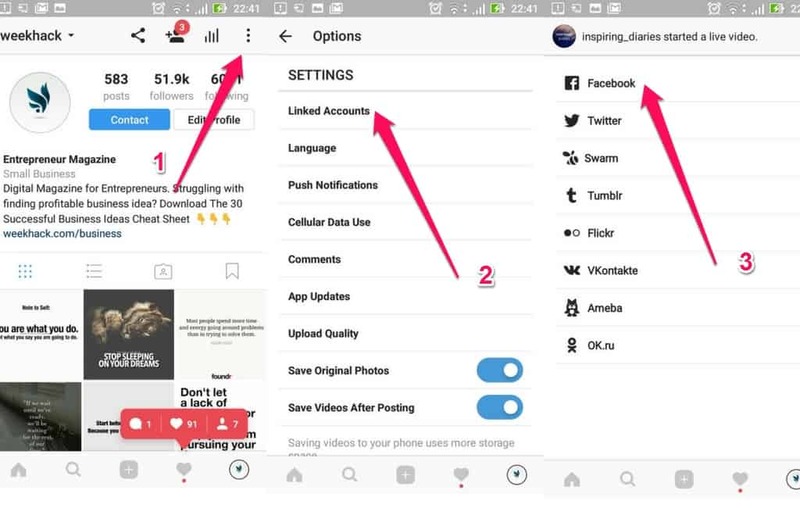 Try to incorporate live video and Instagram stories as well. I’ve been using a tool called Grum to schedule 60-90 images in advance from my PC. With automation is life much easier! #1: Your account is set up. #2: You have an eye-catchy profile image. #3: You’ve written bio attracting your ideal clients. #4: You planned your content calendar, and you’ve chosen a theme for your account. Now it’s time to get exposure for your profile, turn visitors into followers, and followers into website visitors or subscribers. 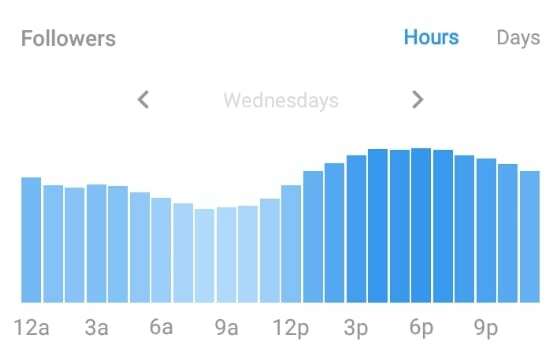 As you can see, at 6 p.m., there are twice as many followers than at 7 a.m.
Obviously, you want to publish at the time when most of your followers are online and ready to engage with your content. 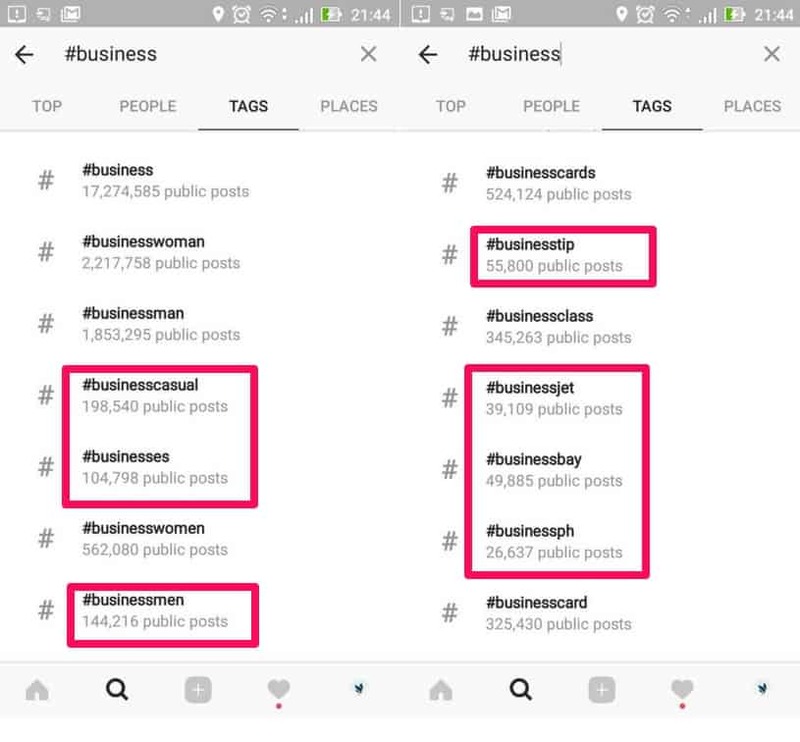 To get this type of analytics; go to your Instagram account – click Options and scroll down until you see ‘Switch to Business Profile’, click on it and follow the steps. Analytics is one of the features of having a business account. The most simple way to get engagement on your posts right off the bat is to connect your Instagram account to your personal Facebook account. Instagram allows you to post 30 hashtags under every image. You want to use them all. The right hashtags can get you hundreds of likes per post. Criteria #1: Hashtag must attract and be searched by your ideal prospects/clients. So what exactly is shoutout for shoutout (S4S)? Basically, a shoutout is when you give credit to someone else in your caption under your post. You’re telling your followers that they should check out and follow the other account. The other account is doing the same for you. This, by far, is the best way to get noticed by a whole new audience. You can do s4s as many times per day as you want, and you should! When it comes to getting massive exposure for your account, there’s no other way as effective as this one. Let’s say I’m going to do three s4s per day. Do you remember how many people see every of my post? You’re right – 8k – 12k. That means when I’m doing shoutout with similar accounts, 30,000 different people would see my posts and a lot of them would give me a follow. Engagement is far more important than a number of followers. Be sure to do s4s with accounts, which are getting a similar count of likes and comments like yours. Action Step #2: Connect with those people through direct message or contact info in their bio and let them know that you’re interested in s4s. Most of them will accept your offer. Tip: Lot of people willing to do s4s are using the app ‘Kick’. To be honest, I don’t know why but that’s not important. When you see their Kick username in their bio, just install that app and connect with them there. A lot of people are using social media to just broadcast their message and that’s all. Don’t make that mistake too! Do your best to connect with your followers, reply to their comments, answer their questions, if they send you a direct message – leave a thoughtful response. These few steps can be a difference between ignoring you and engaging with every of your image! One year ago, I thought about Instagram as a platform for teen girls following Kim Kardashian. I couldn’t have been more wrong! Instagram is used by more than 600 million people from all over the world. From different industries, don’t underestimate the power of Instagram. 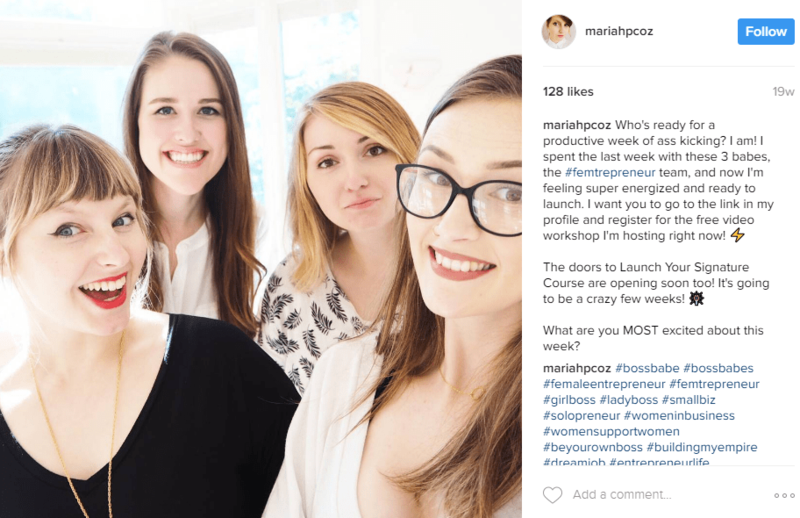 There’s a reason why all major brands are using Instagram as a part of their marketing strategy. I was inspired as soon as I saw Nathan’s results and I’m grateful I gave it a go. Setting up my Instagram profile was one of the best business decisions I’ve made. As you can see, my results are not like Nathan’s. My page is growing three to four hundred followers every day and I have more than 52,000 after seven months. But it’s not about a follower count. It’s about building a relationship with your audience, connecting with influencers; it’s about providing consistent value. And the best part? More than 6,200 people joined my email list directly from Instagram! Yeaaaah! Now is your turn, I hope you get inspired and ready to get the ball rolling. I started using Instagram to promote my blog posts last week, and I have more than 100 followers in a short amount of time. It does allow you to get a lot of followers and you just need to be reciprocal in showing gratitude. Great point, engagement with your followers is extremely important. Thanks for the great advice! Quick note though, 52K followers is awesome! But unfortunately it’s not half a million followers, that would be 500K. Great advice there, I have been experimenting with different ways of growing my Instagram. This was really helpful, thank you. By any chance do you have any insights on twitter? This is good info, I’m gonna give it a shot! I have never tried doing the S4S deal. What if you only have 1k followers to start, will S4S still work? Glad you like it, David! To be honest, I’m not what results you will get with 1k followers. It’s definitely better to do that if your account is bigger, but.. Why not try? Thank you for sharing your success with others. Thanks bro this was really helpful. Glad to have someone on the socialmedia trying to help out the rest for a change. That’s an amazing case study. Personally, I haven’t yet created an Instagram page for my blog as I thought it’s not worth it given that most people just browse Instagram for fun purpose.